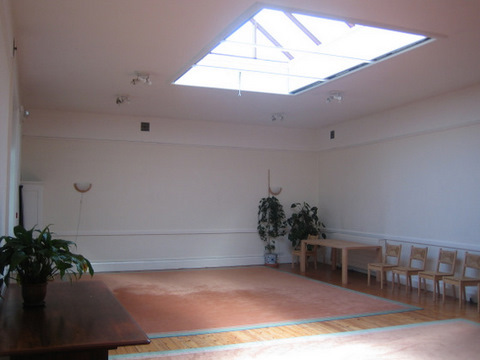 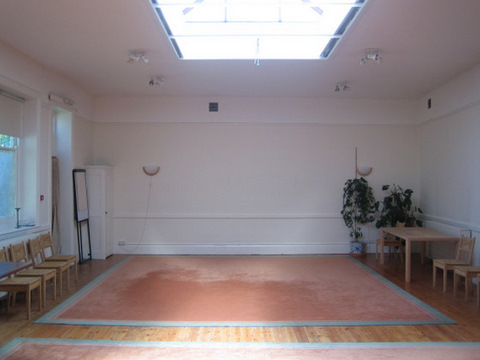 This large lower hall is a magnificent, well proportioned ground floor space. 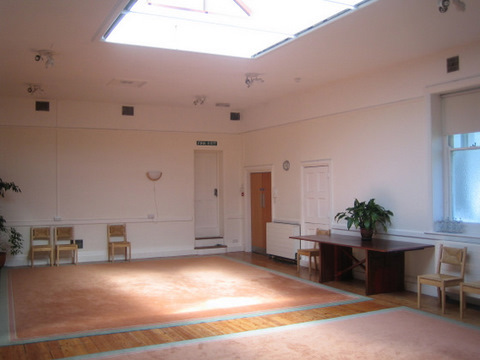 It is flooded with natural light from the glass lantern in the centre of the ceiling. 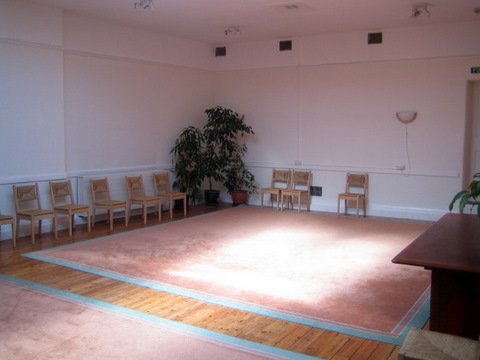 There are 20 chairs and two large tables, plus two carpets that can be rolled back if a wooden floor is needed.